180 Medical Blog / Catheter Resources / What Is a Closed System Catheter? When it comes to choosing the right catheter for your needs, you have more to consider than just picking a male length catheter for men, female length catheter for women, or a pediatric length catheter for children. Intermittent catheters are available in all kinds of materials, sizes, and brands. You also have a choice of what type of catheter to use, like straight catheters, coudé tip catheters, hydrophilic catheters, or more advanced products like closed systems. With this post, you’re going to learn all about closed systems! We’ll break down each component of this catheter type along with its benefits. In addition, you’ll find out how closed system catheters could make your self-cathing routine more hygienic and convenient. 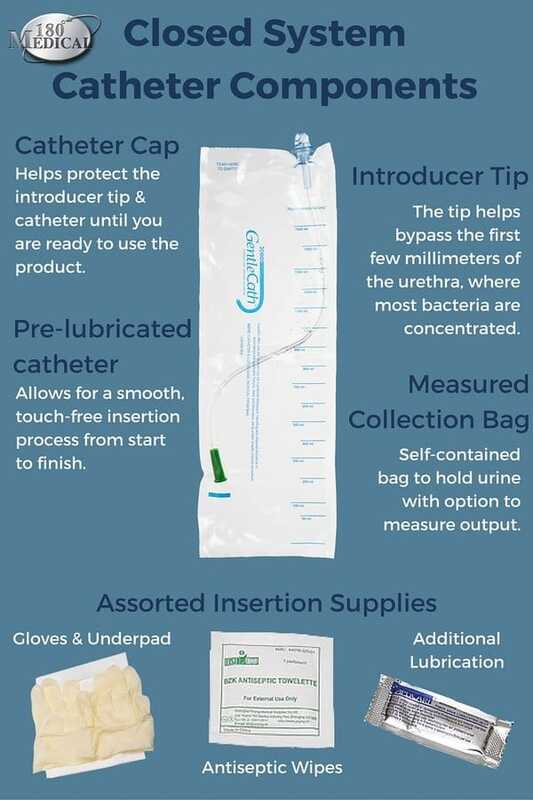 A closed system catheter is a self-contained pre-lubricated catheter housed within its own collection bag. 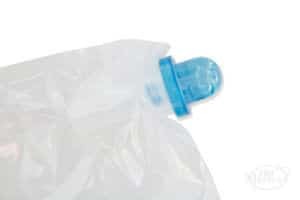 The sterile collection bag eliminates the need to void the urine into a receptacle or toilet. Closed system catheters like the GentleCath Pro Closed System Kit are convenient for traveling. As with all intermittent catheters, a closed system catheter’s main function is to drain the bladder of its urine in a comfortable, smooth process. However, it has some advanced special features that truly set this catheter type apart. For example, these catheters are sometimes called “touchless” or “no-touch” catheters because your fingers will never have to directly touch the catheter tube. Because it’s an all-in-one system, it minimizes the risk of contamination and bacterial infection of your urinary tract and bladder. Most closed system catheters are perfect for travel or carrying. It’s also convenient for most people because it comes ready to use. Some closed system catheters also offer gripping aids or easy-to-open packaging for those who have limited hand dexterity, such as people with spinal cord injuries or severe arthritis. What are the Features of Closed System Catheters? While each manufacturer’s catheters may vary, you’ll find that the majority of closed system catheter have similar features. See the below infographic for more details. Many brands offer insertion supplies to help assist in the catheterization routine. 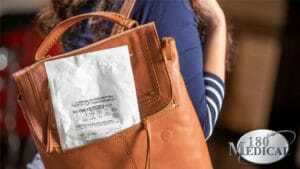 Some brands may include such items as an opaque disposal bag to hide or store the used catheter, antiseptic wipes (typically povidone-iodine or BZK) to disinfect hands and the area of insertion, and gloves to reduce the risk of contamination and infection. Additionally, some catheter manufacturers include an extra packet of lubricating jelly and a sterile underpad. 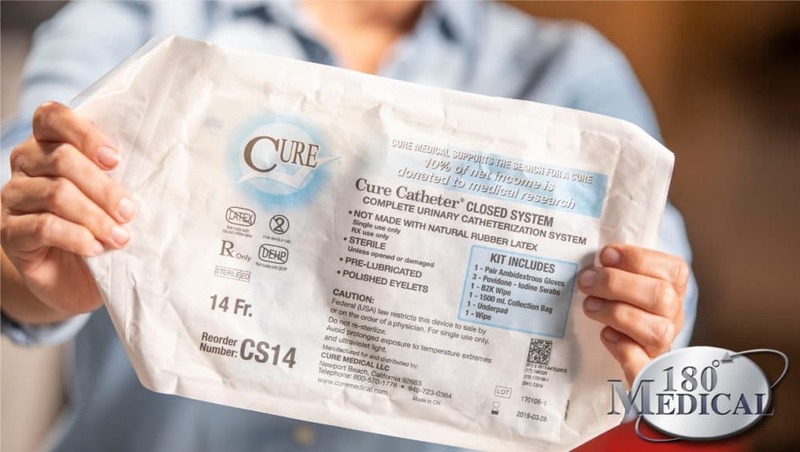 A great example of a closed system with additional supplies in a kit is the Cure Catheter Closed System. It includes one pair of gloves, iodine swabs, a BZK wipe, a 1500 mL collection bag, and an underpad. What are the Benefits of Using Closed System Catheters? Catheter options like the MTG Cath-Lean feature a capped introducer tip that’s soft and comfortable. Using a closed system catheter has plenty of helpful advantages. For example, the self-contained collection bag eliminates the need to try to find another receptacle, such as a separate bag, toilet/urinal, or another container for such purpose. You can self-cath right from your wheelchair or any other place where you have privacy. The introducer tip is also a helpful feature because it allows the catheter to smoothly bypass the first few millimeters of the urethra where the majority of bacteria collect. It is pre-lubricated, soft, and flexible. It’s a much more sterile process because the catheter can be inserted without ever touching the actual tube, which can also lessen the possibility of bacterial contamination. How Do I Use a Closed System Catheter? For more detailed information regarding how to catheterize, please call one of our trained specialists at 1-877-688-2729 so we can walk you through that process. 180 Medical also has one-of-a-kind catheterization instruction materials we can send to you with your order, including a DVD and detailed colorful brochures. Are Closed System Catheters Available in My Size? It’s highly likely, as many brands of closed system catheters will offer straight or coudé tip, pediatric sizes, male or female length, various materials such as vinyl and red rubber, and a range of the common French sizes. Check out the below links to see some of the available options in your needed French size. Which Closed System Catheters Does 180 Medical Carry? 180 Medical proudly carries catheters from all of the leading manufacturers and brands available today. How Can I Find a Catheter That’s Right for Me? You need a reliable supplier that can give you the best selection of high-quality catheters and unbeatable customer service. Our catheter specialists are ready to help you! It’s easy to contact 180 Medical. You can fill out our online inquiry form, and we’ll contact you back via your preferred method (email or phone). In addition, you can call us or connect to us on our website’s Live Chat during business hours. We’ll happily help you discover the right catheter for you. Curious about intermittent catheterization as an option for draining your bladder? Learn more about the benefits with our latest blog.